You are here: Home » Venom GIF-ITI Mural Unveiled! 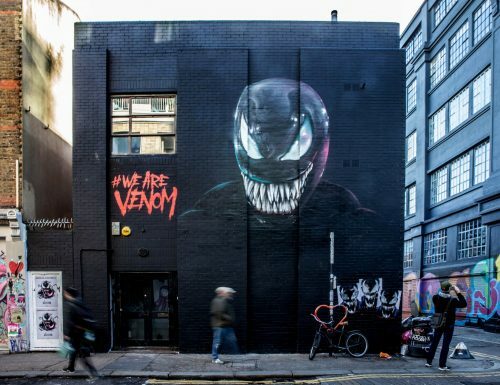 To celebrate the release of the blockbuster comic book hit VENOM on digital download, acclaimed graffiti artist INSA has unveiled an animated GIF-ITI mural of Marvel’s legendary ‘Lethal Protector’ on Redchurch Street in Shoreditch, London. INSA’s work is held in the V&A collection and has been presented at the Tate Britain. Outside of the UK, INSA has left his mark in major cities around the world including; Tokyo, LA, New York, San Francisco, Luxembourg, Lisbon, Hong Kong, Berlin and Brussels. 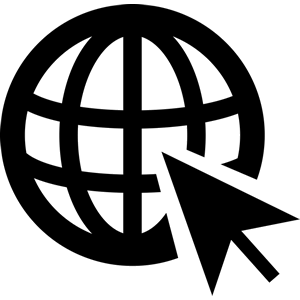 The term GIF-ITI was coined by INSA when he started creating his unique animated paintings. Created over 5 days, the installation captures the transformation of Eddie Brock (played by Tom Hardy), into the ferocious anti-hero VENOM! The evolution story of Marvel’s most enigmatic, complex and badass character – Venom! Eddie Brock is a broken man after he loses everything including his job and fiancée. Just when his life is at its lowest, he becomes host to an alien symbiote which results in extraordinary superpowers – transforming him into Venom. Will these powers be enough for this new lethal protector to defeat great evil forces, especially against the far stronger and more weaponized symbiote rival, Riot?